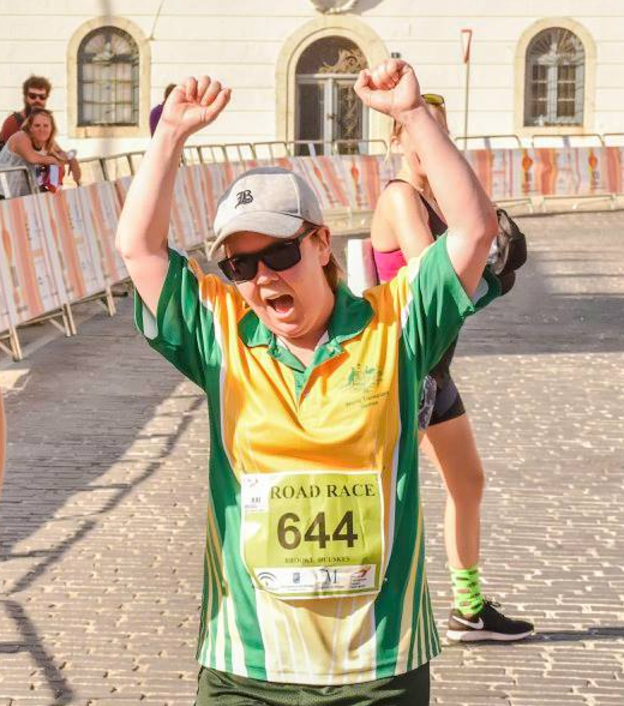 Sport is about turning up and not giving up, and no one exemplifies this better than the Transplant Australia team who represented the nation at the 21st World Transplant Games in Málaga, Spain. 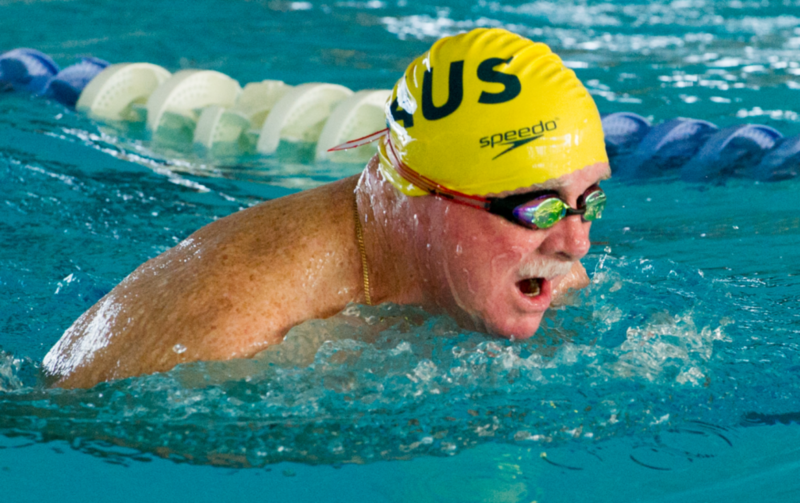 Australia’s youngest athlete was 12; the oldest, 73. They came from all over the country to participate in the largest organ donation awareness event on the globe; the equivalent of the Olympics in the transplantation space. Brad Stanley and Transplant Australia CEO Chris Thomas celebrate Brad’s bronze medal on the podium. The beautiful Mary “Nan” Albrow won a whopping 5 gold medals in the pool for our country. Steve Arthy throwing for a bronze. There were many special moments throughout the competition. 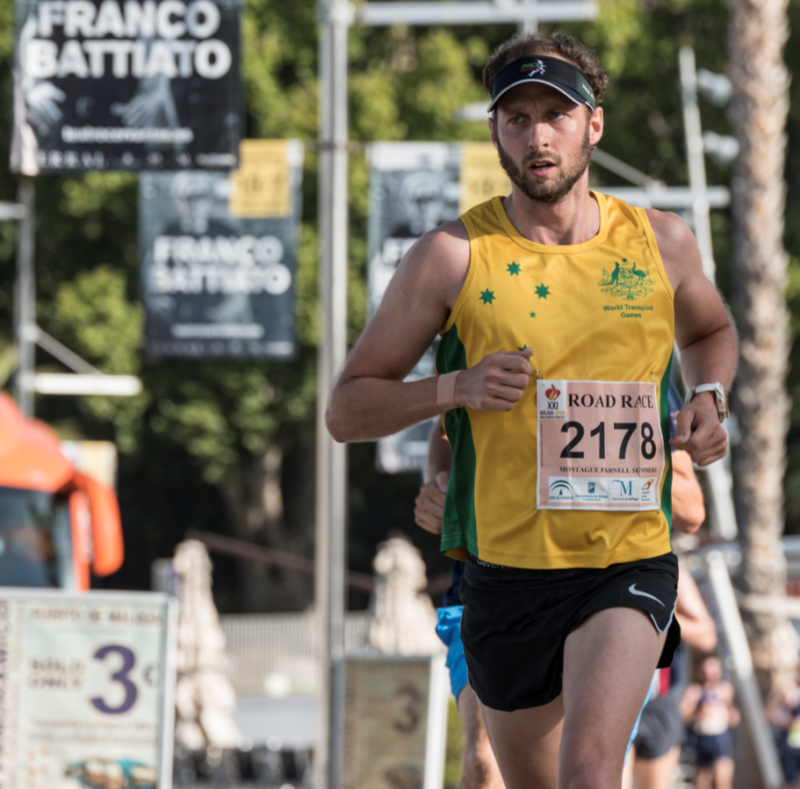 Josh Yates, a 28-year-old youth mentor from Western Australia, is a bone-marrow recipient who won a silver medal in the 5km Racewalk. 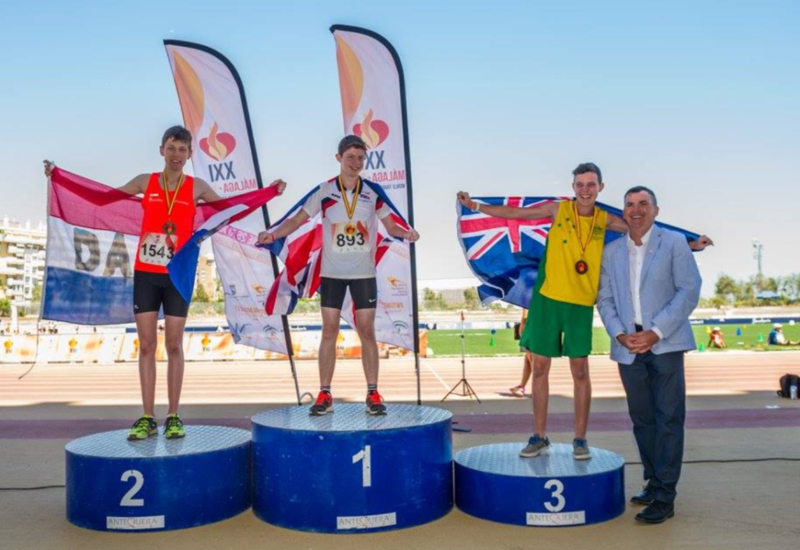 The uplifting and positive member of the Australian team, who is vision impaired, let nothing stop him; he also came 5th in the world in the 1500m, and 7th in the 800m, running with a support runner. 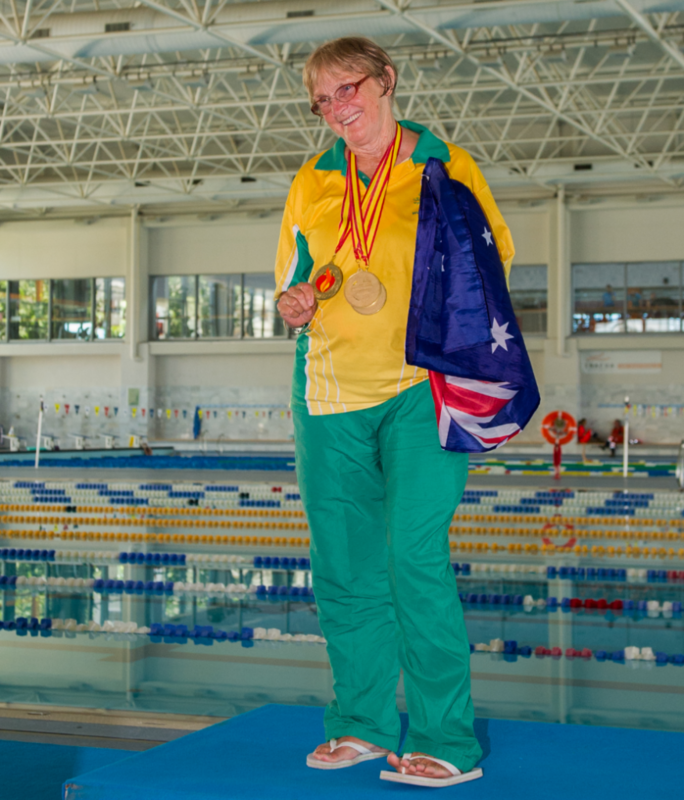 Mary ‘Nan’ Albrow, a 72-year-old liver recipient from Dayboro, Queensland, won a staggering 5 gold medals in the pool. Mary had her transplant over 20 years ago, in 1995. Victorian kidney recipient Tamaryn Stevens came back from a setback on day one of cycling, to win gold on day two in a gritty and brave performance. Her mother and living donor, Amy, and dad John shared the proud moment with their daughter. Monty Summers, a bone marrow recipient from Queensland, broke a Transplant Games World Record in the 5km Race. 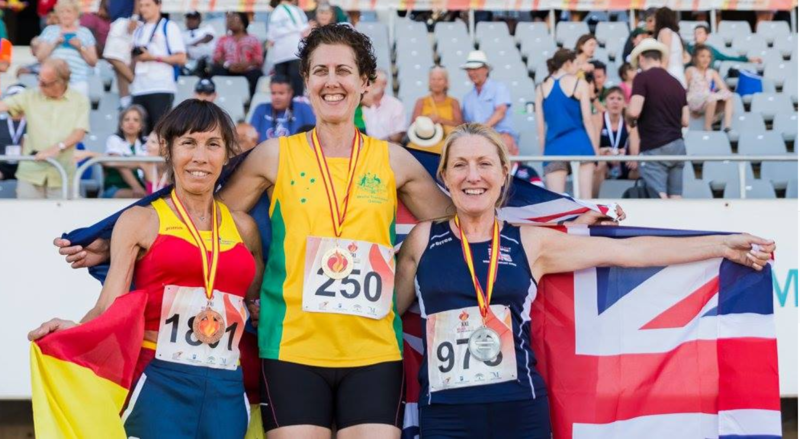 Meanwhile, daylight was second to Sydney’s Michelle Daley, a liver recipient, in the 400m, where she also smashed the World Record in her gold-medal-winning run. 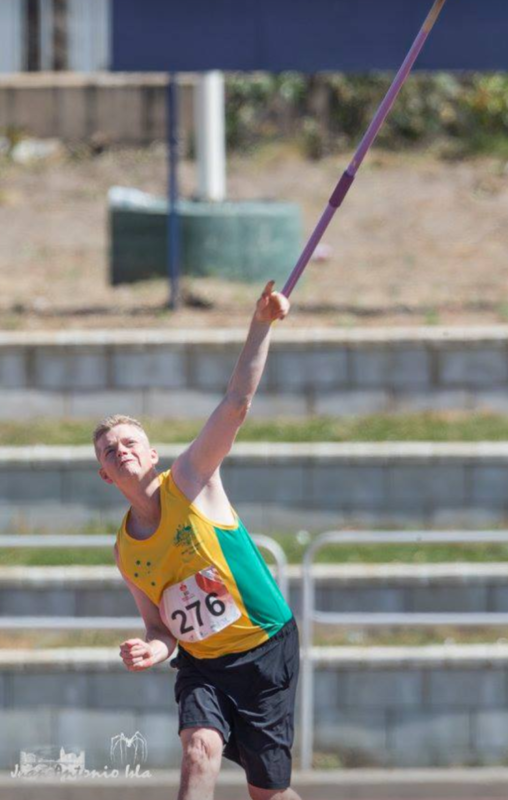 The two junior athletes to don the green and gold Claudia Carter and Brad Stanley both came away with their first World Transplant Games medals. Their proud families were cheering them on from the finish lines. Every athlete who took part was celebrating their second chance by embracing adventure and living life to the fullest. From the pool to the track, to the court and on the field, they are all totally inspirational, and show others that amazing things are possible. The athletes are alive today because a generous person and family in a hospital somewhere said ‘yes’ to organ and tissue donation. Please join the Australian Organ Donor Register online today at donatelife.gov.au to let the world know that you too support organ and tissue donation.